Probably a fair result at Portman Road in the end. Ipswich carried the greater goal threat and should have scored more. But the one they did get, Brett Pitman's penalty in reply to David Cotterill's well-taken opener, was clouded with controversy. Probably only the most diehard Ipswich fans thought they should have had a penalty. If you want to relive the action, please take a read of tonight's match report. Overall, another top quality advert for the Championship. Thanks for joining us - and let's hope it proves just as entertaining at the City Ground tomorrow lunchtime. That's just about that from us this evening. Remember, that's only the start of your football this weekend as tomorrow we'll have live text commentary on every Premier League game, as well as Nottingham Forest v Middlesbrough at 12:30 BST. The penalty was incredibly soft. It took me a while to calm down. I’ve been in the game a long time and I’ve never seen a penalty given for that. Keith (Stroud) was 60 yards away and the linesman said he didn’t see it as he had a poor angle. You don’t get a lot of time on the ball against Ipswich and for 20 minutes in the first half we caused them problems. My frustration was that, after going one up, it was something like that which allowed them back in it. We’ve given a performance to be proud of and we were unlucky not to get the three points. It was important that we came here to be compact as we could, as Ipswich were very direct. They caused us a few problems and they probably feel they should have had the three points. But then I don’t think it was a penalty. There’d be five penalties a game if that was the case. But the ref gave it. So, that is that. It's a point apiece at Portman Road. Into the final minute of stoppage time now. Is there to be a grand finale? Ryan Fraser gets a low left-foot shot away on the break, saved by Tomasz Kuszczak, before Jonas Knudsen's low cross slides across the face of goal. Cole Skuse wins a corner with his deflected shot off Stephen Gleeson, fisted away by Tomasz Kuszczak. Five minutes of added time, says referee Keith Stroud. David McGoldrick flashes his shot just across the face. Ipswich's subs are having a real impact. Ipswich look like the side who want to go and push for the win whereas Blues are just trying to dig in and keep Ipswich at bay. Christophe Berra booked for foul on Clayton Donaldson - not his first of the night. But Blues' well-worked free-kick routine ends with Stephen Gleeson, who has a good goal record this season, shooting just side,. Veteran defender Paul Robinson comes on for Demarai Gray - the first indication that maybe Birmingham are going to be happy with an away point. Ipswich make their third substitution, bringing on young winger Ryan Fraser for Ainsley Maitland-Niles. He nearly has an instant impact with his first cross. But Daryl Murphy, still seeking his first goal of the season, powers a header over the angle of post and bar. Ipswich keeper Dean Gerken comes up with a frantic means of clearing from Clayton Donaldson on the edge of his box, with a wild kick in the air. Then, seconds later, Donaldson goes down after tangling with Tommy Smith. After the referee's first-half penalty decision in the same box, Ipswich fans must have had their hearts in their mouths. That was a great opportunity but Ainsley Maitland-Niles sliced across the ball and he put it wide. You expected him to hit the top of the goal from there. Birmingham boss Gary Rowett responds by bringing on Jacques Maghoma on for Andrew Shinnie. A second attacking substitution for Ipswich. David McGoldrick on for Larsen Toure. The former Coventry and Forest man makes an immediate impact as he heads down Jonas Knudsen's centre and Ainsley Maitland-Niles flashes wide. The Birmingham defence has been well marshalled tonight. They have dealt really well with balls into the box. Daryl Murphy, last season's 27-goal leading league marksman for Ipswich, replaces the home side's first-half scorer Brett Pitman. That brings the Suffolk fans back to life - and Luke Chambers flashes just wide from a half-cleared corner. Superb ball from the right flank by Wales international winger David Cotterill flashes teasingly across the face without anyone getting a touch. Jonathan Grounds becomes the second Blues player booked for a foul on Brett Pitman. But that is quickly followed by home midfielder Jonathan Douglas's tug of Andrew Shinnie's shirt - and his name goes in the book too. Great burst into the box by Brett Pitman has the Birmingham defence flapping, Jonathan Grounds' outstretched leg doing enough, perhaps questionably, to halt him before Freddie Sears' shot is cleared off the line by Stephen Gleeson. Back under way again at Portman Road. Wonder if Birmingham boss Gary Rowett managed to catch a quiet word with referee Keith Stroud at any point during the half-time break? Blues have Paul Caddis on as replacement for Neal Eardley, who appears to have popped his shoulder. Young Ipswich winger Ryan Fraser is only on the bench tonight after picking up a knock at Leeds in midweek. But he's not had a bad week after being named the Football League's Young Player of the Month for August. BBC Sport's Phil Shepka went along to Ipswich to meet the 21-year-old Scot, on loan from Bournemouth. Here's the stats from that first half. As Mick Mills said, there's not a lot to choose between the sides. It's very tight, very tense, there's nothing in it. I think Ipswich are just edging the game and can go on to win it. Neal Eardley, on his first start of the season, is forced out of the action on the stroke of half-time after a challenge by Cole Skuse. A fair enough scoreline at the break. Ipswich's equaliser was clearly a highly controversial penalty. But, having seen a video repeat of the tackle for which David Cotterill got booked, some might say the winger was lucky to still be on the pitch when he fired Birmingham ahead. In both of the first half's key moments, the wet, slippery conditions were a factor. The ref appears to have taken them into account for Cotterill's challenge, but not for the penalty decision. Ipswich's bit of good fortune with the penalty has lifted them and they appear to be ending the first half the stronger. Ainsley Maitland-Niles creates a chance for himself, only to lift his shot over. I can’t understand the referee's decision, it seems really harsh and I have no idea what the penalty was given for, either a foul or a handball. Blues have been hard done by there. It was a superb run by Ainsley Maitland-Niles and as he's gone to cross the ball the Birmingham defender has slid in and gone to block the ball. That is not a penalty. Ipswich are level after what appears a baffling decision by Mr Stroud, given the wet, slippery conditions. Ainsley Maitland-Niles is almost off the pitch as he goes down the inside right channel when he is challenged by Jonathan Spector. Nobody appeals for the penalty, yet it is awarded and Brett Pitman sends Blues keeper Tomasz Kuszczak the wrong way to score his first goal at Portman Road for the Tractor Boys. It looks a harsh decision at Portman Road. Really good goal for Blues, Andrew Shinnie could have been selfish and gone for goal himself but he made the right choice and fed David Cotterill who finished really nicely. That was great composure from Cotterill, head down, struck through the ball, great finish. A costly slip by home defender Christophe Berra on the wet surface allows midfielder Andrew Shinnie to slide in David Cotterill on the right side of the box, and the Welsh international powers home from 15 yards - for his second goal of the season and first since the opening day. After a slow start Birmingham are playing with more composure and have had a couple of good chances, and Jonathan Grounds lacked a bit of nous with the finish. Larsen Toure goes for goal rather than trying to pick out the run of Freddie Sears on the left, but takes the wrong option as he fires high into the stand with an effort that would probably have looked more at home at Twickenham. Nice work from the visitors at the other end as Dean Gerken makes a fine one-handed save to block from overlapping left-back Jonathan Grounds after good work from Andrew Shinnie. Birmingham midfielder David Cotterill is late with a challenge on Larsen Toure - and becomes the first entry of the night in referee Keith Stroud's notebook. The Tractor Boys go close again as the ball is deflected just wide off Birmingham midfielder Maikel Kieftenbeld's shoulder before Ipswich striker Freddie Sears is then just over with a searing shot. Birmingham, playing in their away strip of red and yellow shirts with black shorts, are first to catch the eye. But it is Ipswich who have the first effort on target, on-loan Brett Pitman's 20-yard shot being saved low down by Tomasz Kuszczak. And we're under way at Portman Road. Ipswich had a blip against Reading, but their return of points has been very good, better than last season. That's what you have to be - better than last season. And if you can achieve that then you might win automatic promotion or at least be in the play-offs. The two teams are coming out at Portman Road. Ipswich Town have won this fixture for the last three years, while Blues will be seeking their first win in Suffolk since Boxing Day 2008. It’s great to see Neil Eardley given a chance to impress tonight. Even though he wouldn’t admit it Gary Rowett might have one eye on Tuesday against Aston Villa. Birmingham, of course, face their city rivals in the League Cup next week. BBC Radio Suffolk also have live commentary of the game if you're in that part of East Anglia on 103.9, 104.6. 95.5 and 95.9FM. Unfortunately, we cannot stream local radio Football League commentaries on line for contractual reasons. Former Birmingham City midfielder Darren Carter is part of BBC WM's commentary team this evening. If you're in the West Midlands you can listen to the game on 95.6FM or on DAB. Three changes for Birmingham City too following Tuesday night's first league defeat of the season at home to Nottingham Forest. Neal Eardley gets his first start of the season in place of the rested Paul Caddis, while Demarai Gray and Andrew Shinnie replace Jacques Maghoma and Jon Toral. Ipswich make three changes to the side that won at Leeds in midweek, with Brett Pitman, Freddie Sears and Larsen Toure all coming in. Last season's top scorer Daryl Murphy and fellow striker David McGoldrick have to settle for places on the bench. Before we go any further, here's tonight's team news. Victory tonight will see Ipswich go second in the Championship, while a point would be enough to lift Birmingham into the top six. But how do you think events are going to pan out this evening and who are the key men going to be? Let us know, by using #bbcfootball on Twitter. You may recall that this time last week,Ipswichgotthrashed 5-1 at Reading as Orlando Sa hit a hat-trick. That was Mick McCarthy's side second successive defeat, but, as Big Mick's side's often do, they bounced back bywinning at Leedson Tuesday. Gary Rowett'sBirminghamhave also started the season impressively but lost for the first time this term in midweek as Dexter Blackstock's second-half goal earned Nottingham Forest all three points at St Andrew's. They head for Portman Road two points and two places behind this evening's hosts. It's early days in the season of course. Of course, if you want to follow events at Twickenham then you can take a read of Aimee Lewis' live text coverage. But we'd really like you to stick with us for the muck and nettles of the Championship. Many eyes may be on Twickenham this evening as England and Fiji kick off the Rugby World Cup. But it's not the only sporting action as the domestic football programme continues unabated. Tonight's destination is Portman Road. 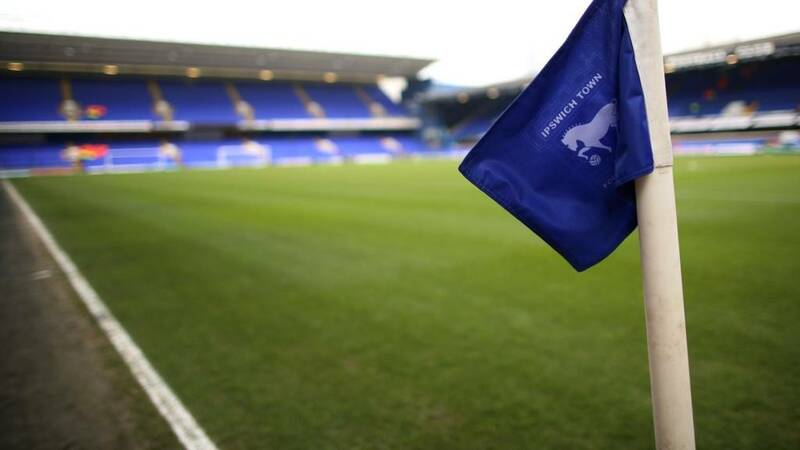 Welcome to our coverage of Ipswich Town v Birmingham City.